While fall is still in the air, we Clevelanders know that cold and snow is just around the corner. Please take the next 30 days to prepare. Here are 7 easy things you can do to winterize your home. Service HVAC System – You don't want your heat to fail when you really need it. Have your furnace serviced now. Reverse Ceiling Fans – Set the fan to go clockwise so the hot air gets pushed down ---especially helpful for 2 story rooms. Drain Sprinkler System - If not, you risk serious damage and a huge expense. Clean Chimney – Making sure it’s in good working order will prevent carbon monoxide poisoning. A Damper stop clamp will prevent flue from closing while gas logs are still on. Restock Supplies – Buy salt, shovels, and get make sure ice scrapers are in your cars. You don't want to be caught unprepared during that first storm. Winter Survival Kit - Create one for home and car, flashlight, blankets, water, food, candles. This is just a starting point as there is more that can be done. Being prepared takes just a little time but will give you peace of mind when the snow begins to pile up. Here is our monthly market report for real estate in Solon OH for the month of July, 2018. July sales were a result of buyers wanting to get into their new home before the new school year started. Summer months always see a larger number of sales, and so far this summer, that holds true. Year to date sales still lag behind sales figures from 2017. As mentioned in previous posts, the result is likely from a lack of inventory early in the year, not necessarily demand. While August is typically a slow month, the market picks up again after Labor Day and tapers off after Thanksgiving. Here is our monthly market report for real estate in Solon OH for the month of May, 2018. Home sales for 2018 lag behind 2017 primarily due to a lack of inventory. There are certainly plenty of buyers, specifically in the sub $500,000 price point. However, the limited number of homes for sale has hurt overall sales. The average sales price of homes that sold last month is unusually high. This is due to very few homes in the below $200,000 price point selling last month. This particular sector of the market significantly lacks inventory. In fact, there are currently only 2 homes on the market in this price point. We have seen over 20 homes come on the market over the last 30 days. While inventories are still low, this will certainly help. We also expect to see more come on the market over the next 2-3 weeks as the summer market heats up. While it’s often been stated that timing the market is impossible, I could argue that now is the best time to sell if you want the highest price for your home. The number of homes for sale in Solon and surrounding areas are at all time lows for this time of the year. 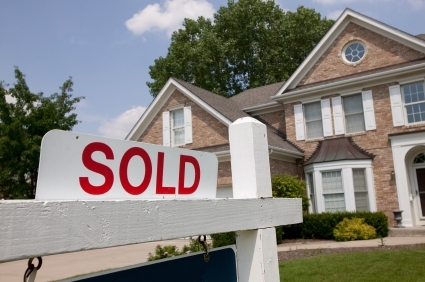 By mid-March, we usually see 120-140 homes listed for sale in Solon. As of today, there are merely 69 active listings. INVESTORS ARE HOARDING THEIR INVENTORY – Many investors who snatched up properties during the recession intended to rent the homes initially, then sell when the market improved. The investors aren’t selling. BABY BOOMERS AREN’T MOVING - Baby boomers typically downsize after their kids finish high school. Today, more are staying put because they can’t find another home that is smaller, cheaper, and nicer than the one they have now. PEOPLE LOVE THEIR HOME - Many homeowners have done a ton of updates over the years and are content with what they have. If you are considering selling your home in the near future, you will get a premium by selling now. Even if you aren't thinking of selling , consider this. Is there a price that would get you to sell? If an agent brought you a buyer who offered more than you ever imagined for your home, would you take it? Houses are flying off the market and the few lucky sellers in the market are taking advantage. I am baffled by the amount of money some of these homes are selling for, but that is simply a function of economics. I only wish I was selling my own home this year, because I couldn’t imagine another time when inventories will be this low again. Ohio property owners know that real estate values in many counties have stabilized but some properties are still under performing. The deadline for Ohio property owners to file a complaint against the January 1, 2016 Assessment of Real Property in any county in Ohio is March 31, 2017 . The following counties in Ohio have reappraised or updated their real property values for the Tax Year 2016, so a review of property values in these counties and all Ohio counties should be performed. For further information and assistance, please contact our office at 216 771-8990 or use our simple CONTACT FORM. Here is our official 2016 real estate report for the East side suburbs of Cleveland. We did a comparison from last year to 2015. Suburbs are in alphabetical order. First quarter sales will certainly be in line with last year as there are 111 homes currently under contract in the above mentioned communities. Inventories are low now so many buyers are on the sidelines waiting for the new crop of homes to hit the market over the next 30-60 days. It's hard to imagine the market being better overall than in 2016, especially with a possibility of rates increasing. The determining factor may be available inventory over the next 3-4 months. Homes will continue to sell for close to 96% of asking price. It certainly helps a seller if the home is properly priced and staged up front. Buyers would be wise to get pre-approved well in advance so they can jump on the right home when it comes on the market. With limited inventory, especially early in the year, you can't afford to hesitate. The following is our 8th annual year in review for Solon Ohio real estate. Here, we will provide a comparison between 2016 and the previous two years and offer commentary. We will also be including a breakdown of specific price points. 2016 was a great year for the Solon real estate market. 1. More homes sold in 2016 vs. 2015. 2. Average sales price was slightly lower in 2015 than 2014. 3. The number of sales was fairly balanced throughout the year. 4. A well priced home will receive approximately 96% of asking price. 5. The luxury home market had a significantly better year in 2016 in terms of sales. WHY WAS 2016 BETTER THAN 2015? In simplistic terms, the increase in sales in the $200,000-$399,000 price range was the major difference, especially the $200,00-299,000 range. In fact, 2014 saw only 51 sales in this price range, so the dramatic increase over the last two years is quite amazing. Young families continue to flock to Solon to take advantage of the top rated Solon Schools and the more moderately priced homes are attractive from an affordability standpoint. In terms of the families moving to Solon from other area suburbs, many are either buying their first home or moving up from their starter home. These buyer typically don't want to spend more than $350,000 and the available inventories have been plentiful over the last few years. The other significant price point was the $600,000-699,000 range, where we saw a modest increase in sales from the previous year. Continued low rates, a decent economy and an increase in the stock market all factored into the increase in sales in 2016. First quarter sales will certainly be in line with last year as there are 36 homes currently under contract. There are fewer homes currently for sale now ( 71 ) than at this time last year ( 84 ) so the buyers on the sidelines are likely waiting for the new crop of homes to hit the market over the next 30-60 days. It's hard to imagine the sub $300,000 market doing better in 2017, especially with a possibility of rates increasing. The determining factor may be available inventory over the next 3-4 months. Homes will continue to sell for close to 96% of asking price. It certainly helps a seller is the home is properly priced and staged up front. Here is our monthly market report for real estate in Solon OH for the month of October, 2016. As the market has slowed down a little bit from the summer, October sales were fairly decent in terms of the number of sales. However, most were in the mid to lower price points, so the average sales price last month is significantly lower than the year-to-date average sales price of $321,437. After the market slowed down in July and August, it did pick up after Labor Day. The luxury market has been strong this year but has slowed down over the last few months. Only 2 of the sales in October were over the $500,000 price point, and we have seen only 6 luxury homes go under contract since Labor Day. We anticipate decent activity over the next few weeks, and then a seasonal slowdown from Thanksgiving to New Years. 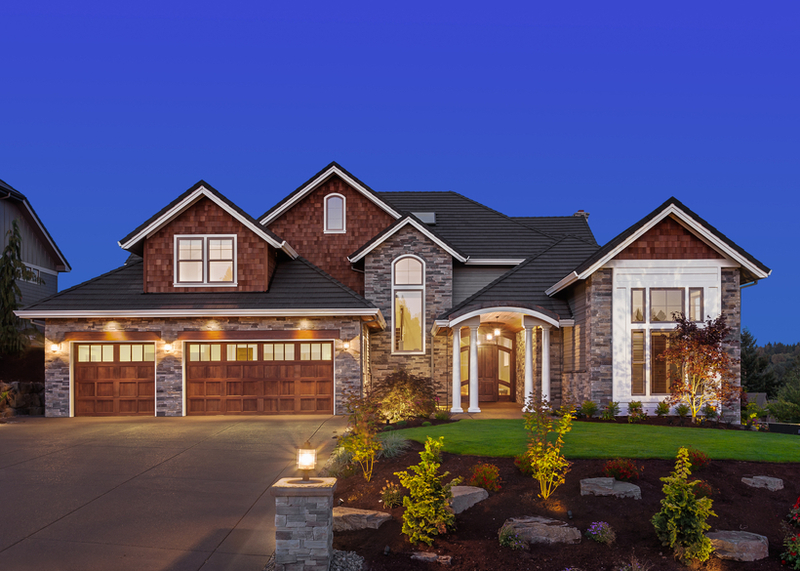 Curb appeal is a popular buzz word in real estate. Your home will be judged within seconds based on how it looks from the outside, regardless of how many interior upgrades you have done. Knowing this, we highly recommend to our clients that they evaluate their landscaping on a yearly basis to ensure it is always looking its best. Let’s be honest, no one is going to tell you that your landscaping looks awful. The homeowner is often the last person to realize their yard needs work. Next time you approach your home, stop at the street and take an honest look to see how it appears. Also, compare it to the rest of the neighborhood. Is it beautiful and well maintained, or is it overgrown in places, needing a little work. While having professionally maintained landscaping is great, all the time, money and effort you put into your yard is wasted if you can’t see your home due to overgrown trees and bushes. While it may not be a big deal to you at this time, it will affect resale. Additionally, there are benefits you can enjoy immediately by trimming and removing overgrown trees and landscaping. I personally had a tree get so big in my front yard that we couldn’t see half of my house. The fact that it was a great tree and looked so pretty in the fall kept me from seeing the reality that it needed to go. We hired a well respected landscaper who made some recommendations including removing that tree. I fought him on it but now that it’s gone, I realize we should have done it much sooner. Not only can we see our house again but we get a ton more sunlight in the rooms that were previously darkened by the shade of that tree. If you have the means, I highly recommend hiring a professional landscaper to assess your property. I realize it’s not a cheap endeavor but it’s a worthwhile investment, especially on higher end homes. If cost is a concern, the internet has a ton of sites full of great do it yourself ideas. Fall is a great time to get good deals on trees, bushes and perennials, so now is the time to take action. How the outside of your home looks is a reflection of you. So take some time to make sure it looks great. Our clients constantly ask us about the types of things they can do to add value to their home. Typically, you can never go wrong with kitchens, baths, and a decked-out lower level, things that today's buyers gravitate toward. There are a lot of things to consider, however, including how long you plan to remain in your home. 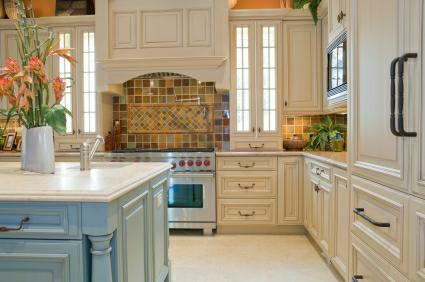 There's no reason to do a major kitchen remodel if you plan to move in 3 years. Sometimes just putting in granite, new fixtures, and painting can make a difference in terms of resale. Here's a link to the cost vs. value report for the Cleveland area. If you are planning on doing some projects around your home this fall, just be aware of expectations regarding your return on investment.